Elderberry syrup is a mainstay of our Fall and Winter natural remedies, and one of my favorites because it is the easiest to get kids to take happily. 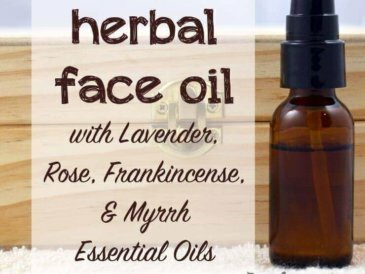 It combines the benefits of flu-fighting elderberry with the antibacterial properties of raw honey (and some other beneficial herbs) for a highly-effective remedy. Herbal syrups (like elderberry) are a great way to get the benefits of an herb. Electuaries are similar, but take even less time to make and can make some of the most pungent tasting herbs palatable. By definition, an electuary is a powdered herb mixed with honey (preferably raw). 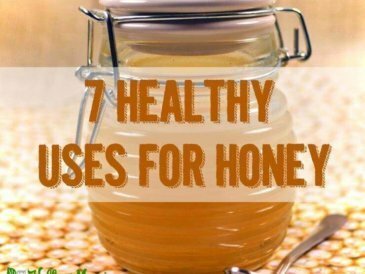 The texture can vary from more like a syrup (less herb in proportion to honey) or like a thick paste that can even be rolled into pills or lozenges (more herbs in proportion to honey). 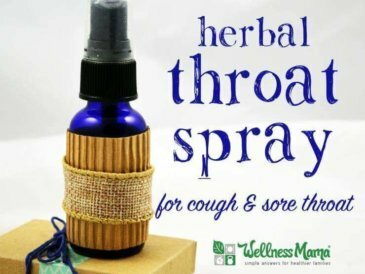 Though electuaries are much less well-known than they once were, they are still an excellent and simple herbal remedy you can make at home in minutes and can be really helpful during cold and flu season. Most often, an electuary is made with dried and powdered herbs mixed into honey. Since both dried herbs are honey are shelf stable, this creates a remedy with a long shelf life. In fact, honey has been used as a preservative for thousands of years, as it has a low moisture content and natural antibacterial properties that give it an almost-indefinite shelf life. (The only caution with honey is not to give it to children under 1 year old as it can contain spores of Clostridium botulinum, which adults and older children can easily digest but which babies have not yet developed the ability to digest properly). 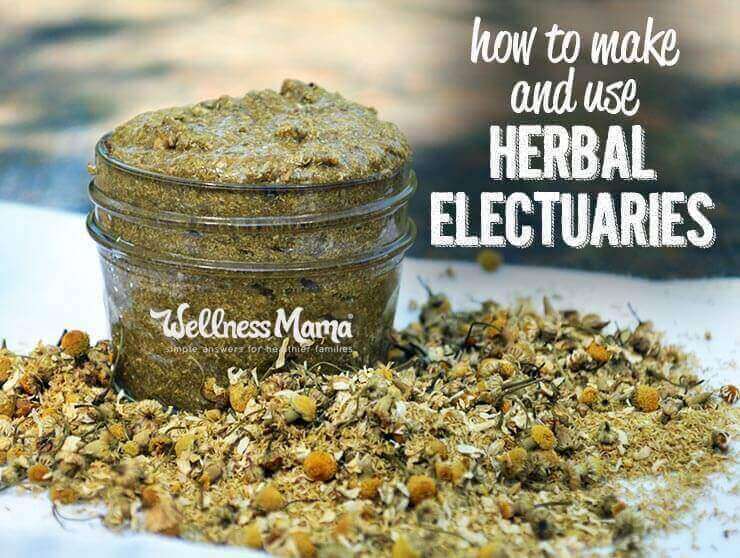 If you are new to natural remedies, electuaries are an excellent place to start since they are very versatile and almost impossible to mess up! You can use any powdered herb and mix with a high quality honey and you have an electuary in minutes. 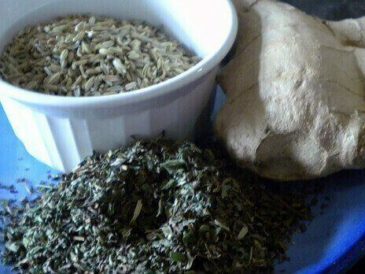 Powdered, dried herbs of choice – TIP: if you don’t have powdered herbs, just run your dried herbs through a blender, food processor or spice grinder until powdered. The thinner the powder, the smoother the electuary will be. Place the dried, powdered herbs in a bowl. Add just enough honey to make a paste (about peanut butter thickness or a little thicker). Store in a jar with a tight-fitting lid and use as needed. Depending on the electuary and how much of the herb I need to consume, I take a spoonful a day. For electuaries for specific ailments, I take more often as needed to speed recovery. NOTE: Herbs can be very beneficial but also have the potential to be very powerful. As with any product containing herbs, check with a doctor before using, especially if you have a medical condition or are pregnant or nursing. Golden Milk Electuary– All the benefits of Turmeric Tea Golden Milk in a non-perishable form. Mix a tablespoon into a cup of warmed water or coconut milk for instant turmeric tea. I use equal parts dried Turmeric root and cinnamon powder and add dried ginger powder and cayenne pepper to taste before mixing with honey to make a paste. Great by the spoonful or in tea and helps speed recovery from illness. Pregnancy Electuary– My pregnancy tea in tasty electuary form. I mix about 1/4 cup powdered raspberry leaf with 1 tablespoon each of powdered alfalfa and nettle and add honey to make a paste. Vitamin C Electuary– I mix equal parts powdered camu-camu, rose hips and hibiscus to make a powder rich in Vitamin C. I add just enough honey to make a very thick paste. This can be eaten by the spoonful or formed into little pills or lozenges. Echinacea Electuary– The easiest way to take Echinacea (which can have a pungent taste). 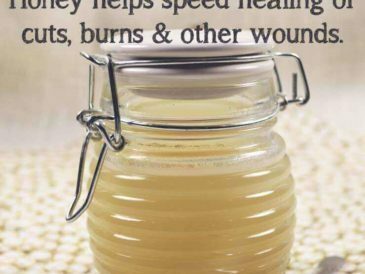 I mix powdered echinacea root with honey to make a thick paste and use as needed. Sore Throat Electuary– I mix equal parts powdered peppermint leaf and marshmallow root with enough honey to make a very thick paste and form these into lozenges. They are great for easing the pain of a sore throat. Ginger-Mint Electuary– I give this to my kids for tummy aches. I mix equal parts peppermint leaf and dried ginger with honey to make a thick peanut butter consistency. I give by the spoonful when needed. Ever made an electuary (even without knowing you were making one?) Will you try making them now?